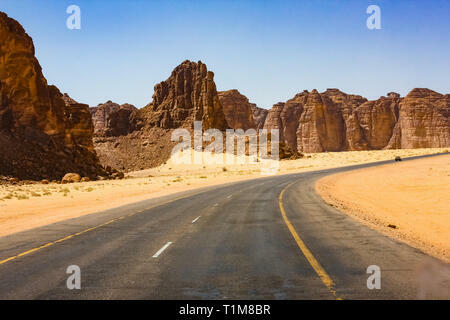 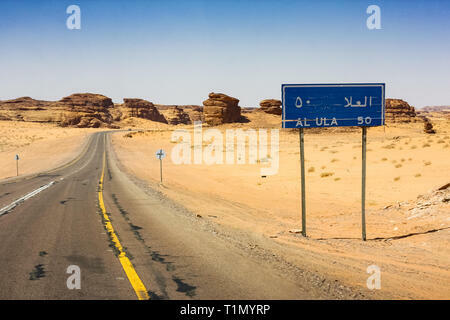 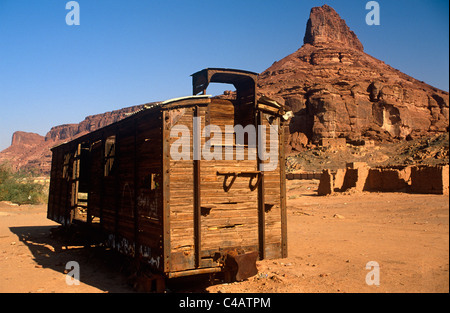 Saudi Arabia, Madinah, Al-Ula. 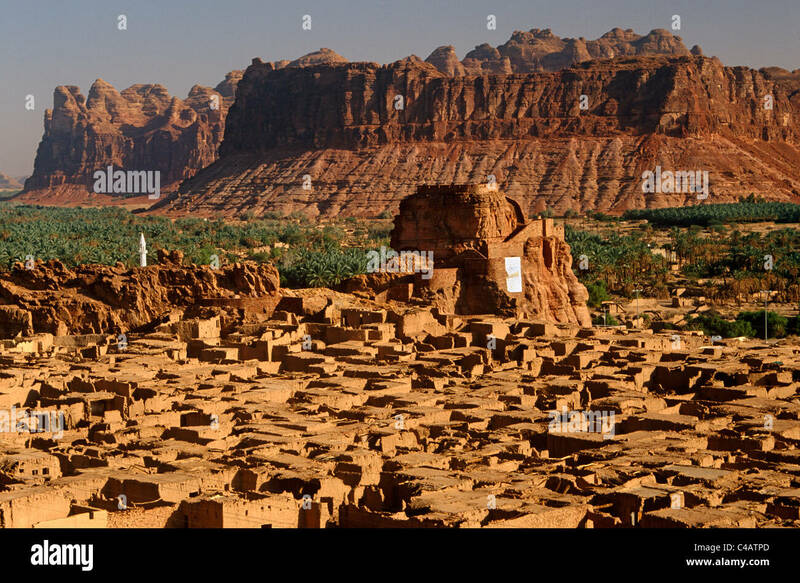 The small yet striking castle of Musa Abdul Nasser rises in the midst of the crumbling mud-brick houses of Old Al-Ula, an oasis occupying the site of an ancient city called Dedan. 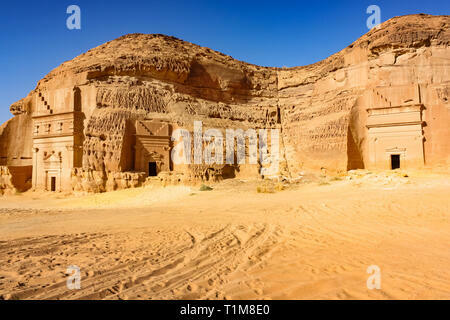 Saudi Arabia, Madinah, Al-Ula. 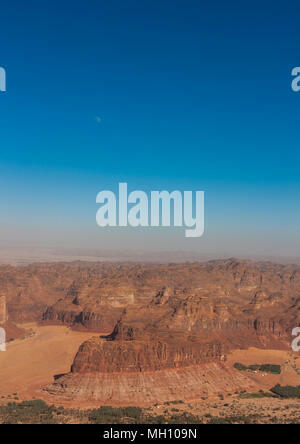 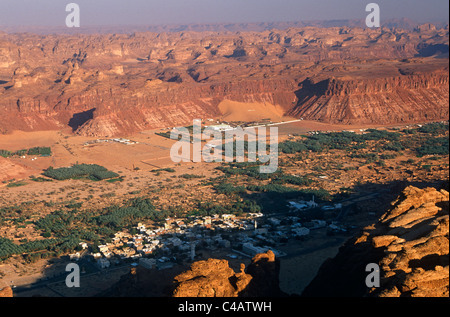 A view of the town and oasis of Al-Ula from the surrounding hills. 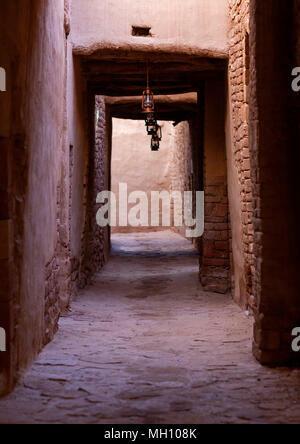 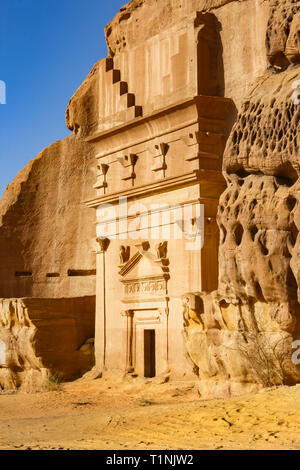 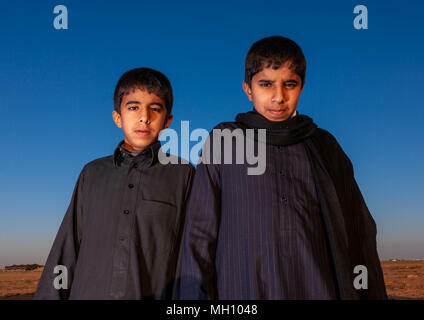 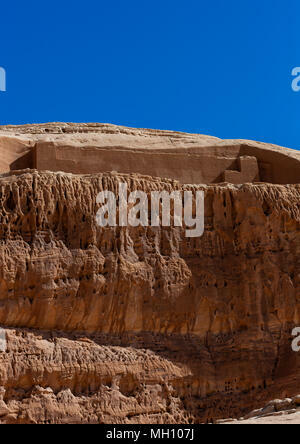 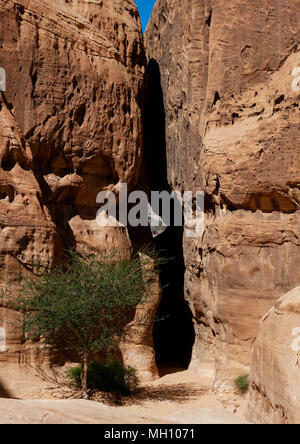 Rock-cut Nabatean tombs of Mada'in Sale, a UNESCO world heritage site in Saudi Arabia.